Belize really is an enigma when it comes to Central America: For starters, it’s official language is not Spanish, but English, a testament to how it was colonised successfully by the British. It is also unique in that it is the only country in Central America that doesn’t have it’s coastline on the pacific ocean, having only the Caribbean as it’s coast line, and it’s overall size is about that of Ireland. But what it lacks in size is actually quite an advantage when you consider how ethnically diverse this nation is: Creole, Maya, Mesitzos and even German-Speaking pockets called Mennonites, as well as a sprinkling of East Indian and Lebanese who are the ancestors of labourers bought here by the British in colonial times. Getting in by air is straight forward, with the Philip S.W. Goldson International Airport well fairly well connected to cities in the US and other locations in Central America. However many choose to visit Belize on a ‘side-trip’ whilst travelling through the region overland. In this case, buses run from Flores in Guatemala to the capital Belize City. As for things to do in Belize, for such a small country, it has a lot crammed into it. For those who love beaches, highlights are Ambergis Caye and Caye Caulker, which are also great for snorkelling, while world-class scuba diving can be arranged off-shore at places such as Hol Chan marine reserve and Shark Ray Alley. For the adventurous, there are numerous caves, underground rivers in the limestone karst hills. Around the Cayo District The caves are pretty special, with huge caverns with massive glittering stalagmites and stalactites. You will also see many Mayan artefacts as the underground world was sacred to them. A guide is compulsory but they will be able to explain to you the history of the cave and they are also trained in first aid and rescue operations. As for historical sites, Belize has a surprising amount of quality Maya ruins of which you are free to climb over and explore, unlike many in neighbouring Guatemala and Mexico. Ruins of particular interest are Altun Ha, easily accessed via Belize City as well as Lamanai, which has three pyramids, residential areas and even a unique ball court of where they used to play. In western Belie is Caracol, the largest Maya site in Belize, with the tallest pyramid in the country named Caana, which means “Sky Palace” in the English. The food in Belize is as varied as it’s ethnicities: The staple is red beans, rice and chicken, which is simple but tasty. Coconut is often use however to give the dish a sweetness. Fruit plantations are everywhere in Belize, so you are never far away from fruits such as oranges, pineapples, bananas and papayas being sold by street vendors. For fans of spicy food, then they simply must try Belize’s famous hot sauce called “Marie Sharp’s” made from a particularly strong local pepper, which comes in medium, hot or extremely hot. Be careful and take the “extremely hot” very seriously! 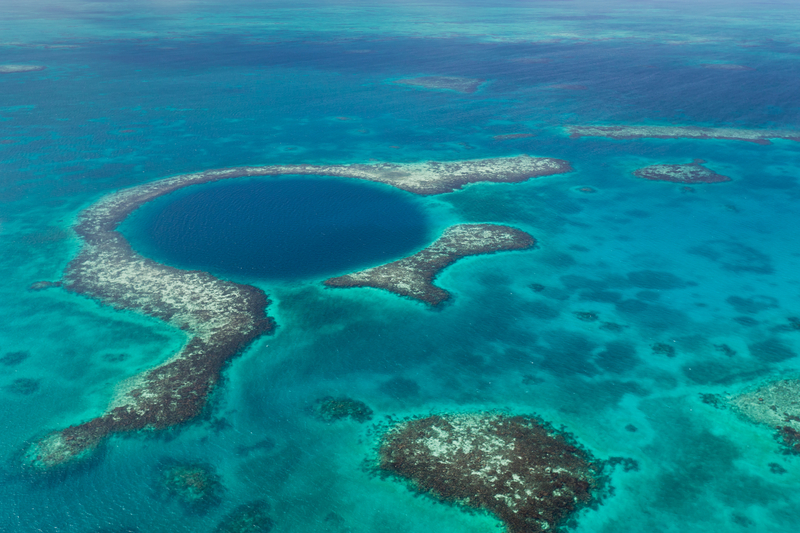 With visas being free on arrival for most western nationals, this is really a great time to visit Belize which is so often overlooked on people’s itineraries in Central America.